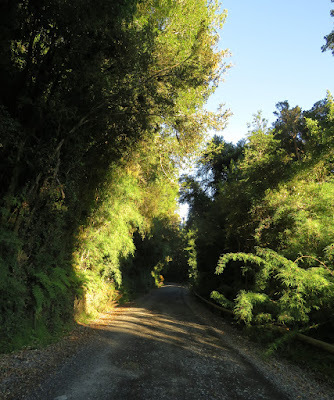 I had arrived after dark at Parque Nacional Puyehue on the previous evening & found a self-catering cabin at a cabanas about six miles before the park entrance road at a sensible price. 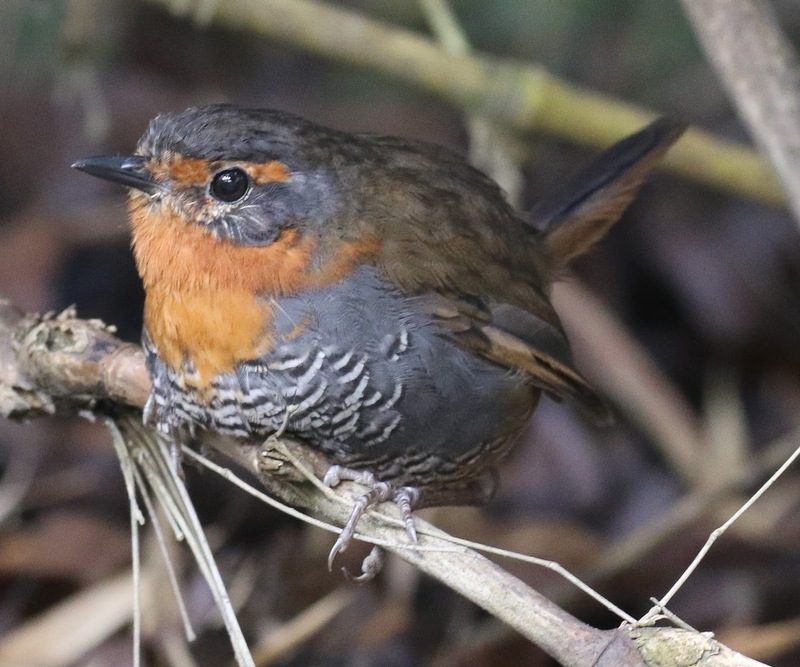 It turned out to be a good decision with Slender-billed Parakeets, Chilean Pigeons & Green-backed Firecrowns flying about the cabin at first light. After having some breakfast in the chalet, I left for the park. The conifer trees were tall & dense and combined with the steep-sided hills, it meant that the forest was cold & dark & there was little activity. I stayed on the main gravel road in the park & only explored less than a mile beyond the lake on the right-hand side of the road. 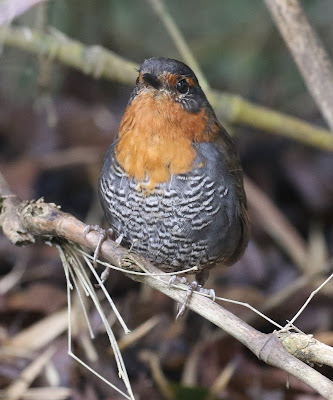 My main reason for visiting the park was in the hope of finding a Magellanic Tapaculo, which I hadn't been able to find on Chiloe Island. There were some potential sites I could have tried on Chiloe Island. However, I decided that as I still had several sites further North, that I could try one of those sites & start reducing the distance to Santiago. I did succeed in seeing a Magellanic Tapaculo & hearing a second individual. However, I didn't manage to get any photos. 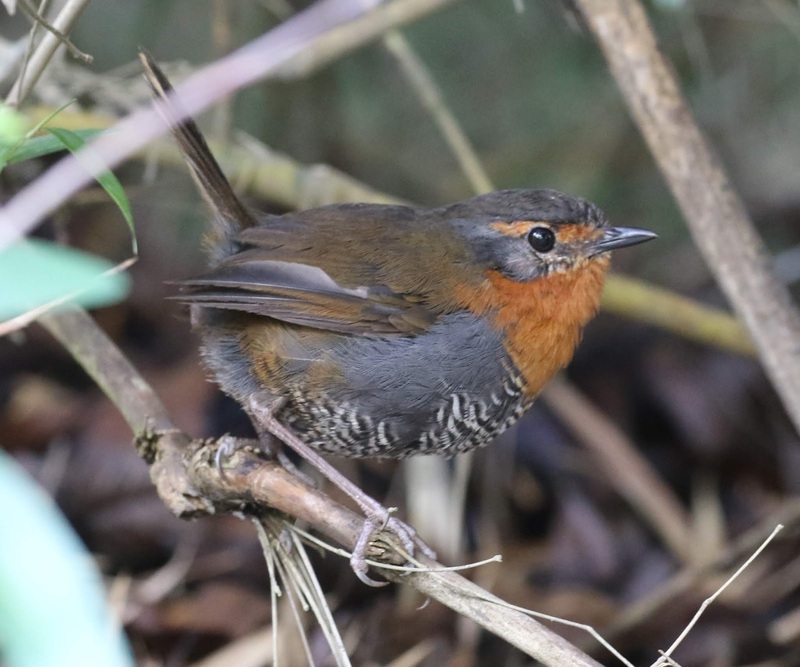 I was more successful in getting photos of a couple of Chucao Tapaculos in the roadside vegetation. 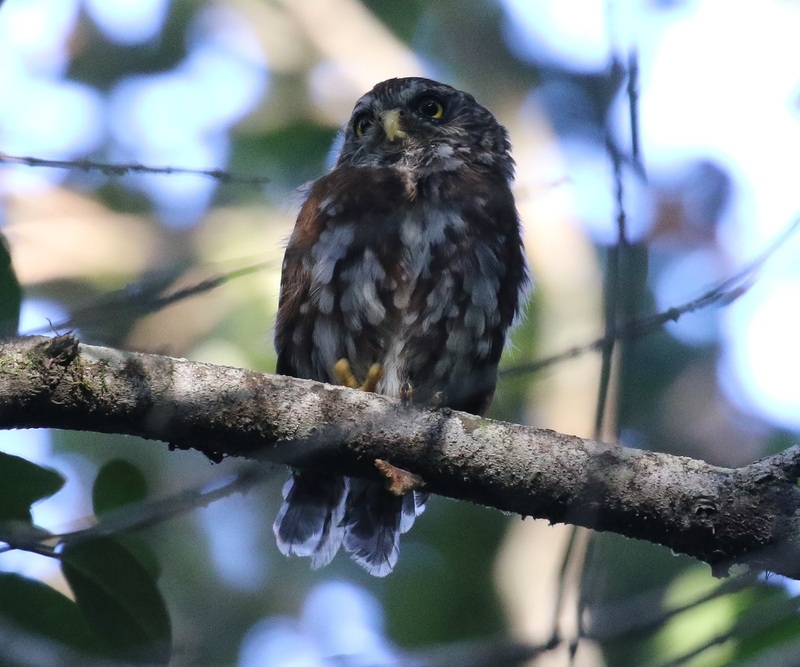 I heard another ten Chucao Tapaculos: they are clearly common in the park. There were a few Chilean Pigeons flying around. I had seen a few on Chiloe Island, but only in flight. It was good to finally see one to photograph. 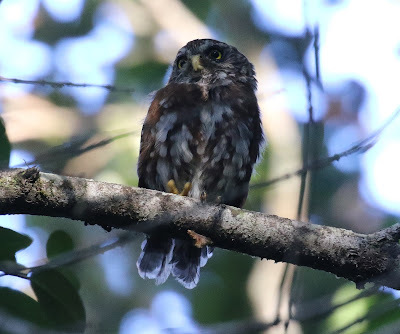 One of the other species, I had hoped to see in Chile was Austral Pygmy-owl. 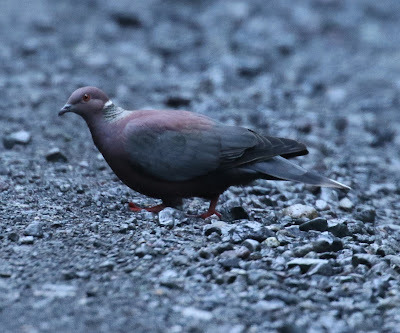 I had unsuccessfully looked for them around Ushuaia in Dec 1998 & during my short visit to the central Chile in Sep 02. 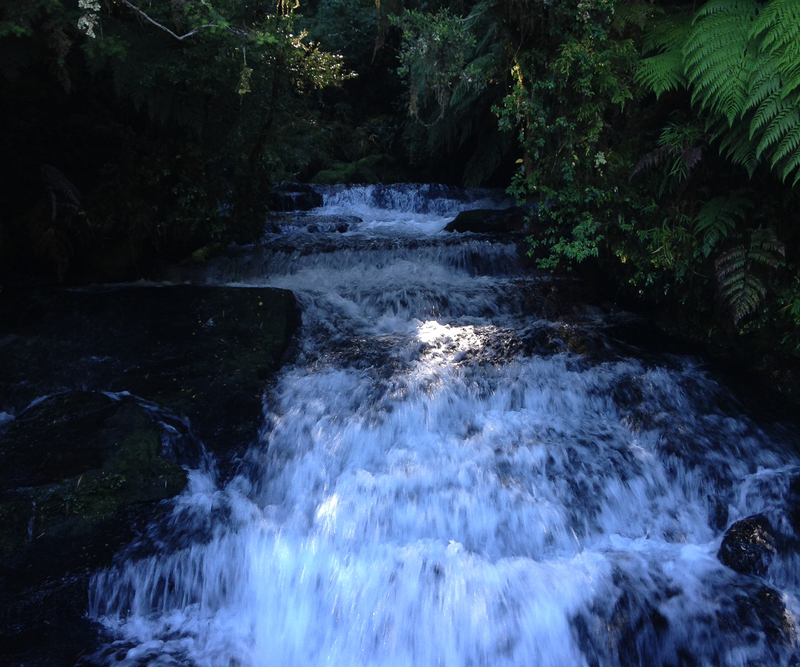 I hadn't had any luck on Chiloe & was still trying. I was still surprised when an Austral Pygmy-owl started responding from the trees close to where I was standing. After a couple of minutes of waiting, I saw where it was calling from. By this point in the trip, I had seen most of species I was keen to see & I was looking for specific targets. 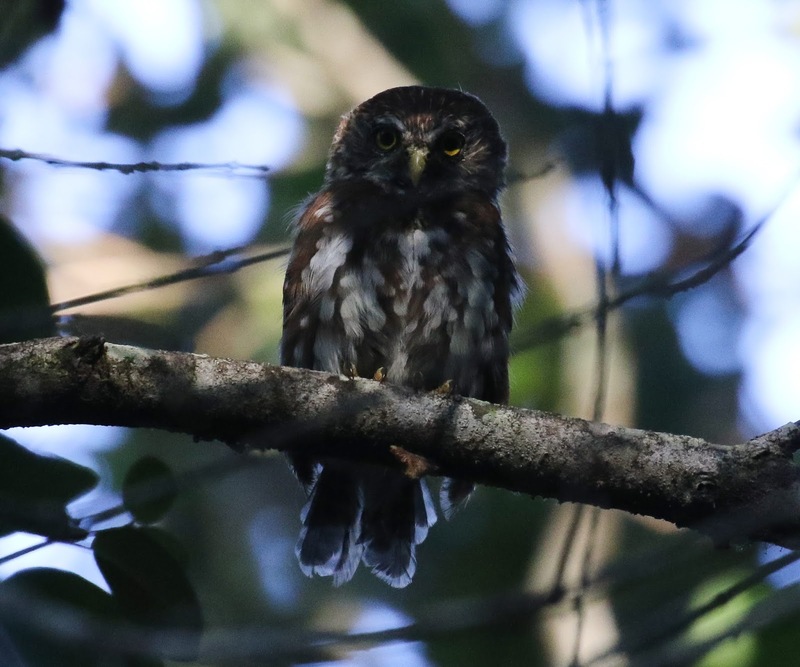 Magellanic Tapaculo has been the main target & the Austral Pygmy-owl has been a bonus that I had hoped to see. 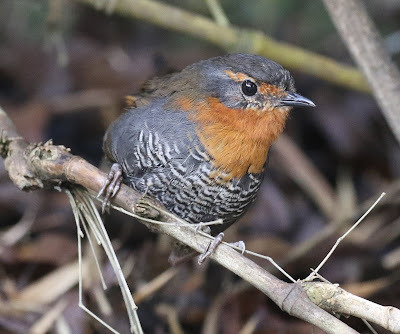 There was a chance of seeing Patagonian Tyrant, but I couldn't find any. Despite my successes, the Birding had been fairly quiet & it was time to move on. I spent the rest of the day driving onto Parque Nacional del Laja. Again, I didn't arrive until after dark. I hadn't been able to find any accommodation in the small towns on the approach to the park, so ended up booking a camping slot within the park for a few quid. I had a sleeping bag & was happy to kip in the car.